Before the hybrid mattresses were created there were only two major types of mattresses, namely, the coil-base and the foam-base. The coil base also known as the innerspring mattresses are good for firmness and support, however, they lack the soft cushy feeling. 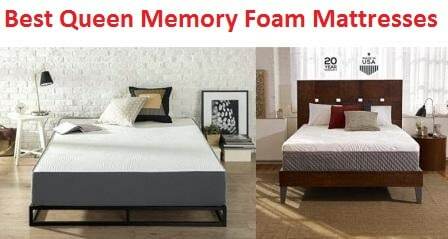 The foam-base mattresses are squishy and gentle yet they sink a lot and provide less firmness. Due to the constant dissatisfaction of customers, the brands combined the supportive coil base and comfortable foam base to produce something brilliant, known as the hybrid mattresses. The idea behind the hybrid mattresses is to bring forth the dreamy coziness and good support together. Latex is a natural extract collected from the rubber trees. The latex mattresses are porous and thus have high heat-resistant properties. In terms of bounce and comfort, they beat the ordinary foam mattresses. Latex mattresses are made of two types of materials, natural latex, and synthetic latex. The natural latex is formed when the milk from the rubber trees hardens. Whereas, the synthetic latex is manufactured by the process of vulcanization, in which the rubber is hardened by the help of chemicals. The latex hybrid mattresses are a beautiful and comforting combination of both. Depending upon the quality, they are produced by combining different ratios of natural and synthetic latex. The most common ratio of natural to synthetic latex is generally 70/30 or 60/40. A higher percentage of natural latex in the combo means greater quality. Basically, the latex hybrid mattresses are produced in two ways. One is the Talalay process and the other is the Dunlop process. As a matter of fact, both the manufacturing processes are slightly different from each other. The thing is that, in Talalay, it takes a number of steps and energy to form the latex, whereas, the Dunlop process is energy-saving and a little less complicated. The Talalay latex is less dense and more bouncy. On the other hand, the Dunlop one has higher density and more springiness to it. Breathability: Latex hybrid mattresses have enough pores all over the surface which makes the aeration easy and the sleeper can experience a fresh breath like never before. Durability: High durability makes them a popular choice. Latex is made from the extract of rubber trees and is known for its longevity. On an average, a latex hybrid mattress can easily last for more than a decade. Heat Resistant: Latex has bad heat conductivity and good insulation properties, making it more resistant to heat. When compared to other mattresses, the latex mattresses keep the sleeper cool for long. Balanced Contouring: They would sink in but only to return to their original shape quickly. Latex is elastic and thus provides for a balanced contouring by regaining its shape within no time. Firmness: People who are suffering from backaches find latex mattresses more comfortable as these give sufficient buoyancy to the body and helps them feel lighter. No Bad Odor: While the other types of beddings have a reputation of off-gassing, the latex ones give off almost zero to a negligible amount of odors as they are made of natural material. Eco-friendly: Needless to say, the latex hybrid mattresses are quite eco-friendly. Manufactured with natural extract, they have the tendency to biodegrade completely when discarded. 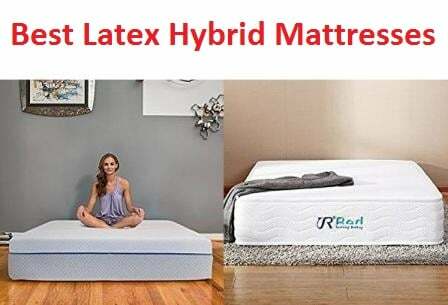 Hypoallergenic and Mite-resistant: Latex hybrid mattresses are perfect for those who are allergic to synthetic materials. Apart from that, they are also capable of driving the bugs and mite away. Motion Isolation: The best thing about latex hybrid mattresses is that it isolates and keeps the motion to the same side of the bed and doesn’t extend the movements to the other partner. This reduces the sleep disturbance between the partners. Too Much Firmness: Some may find the latex hybrid to be too hard to sleep on and would prefer something softer. Low Availability: The problem is that latex hybrids are not easily available in the market and are rarely, if at all, available online. This also prevents the users from trying the mattress before buying it. Heavy: A greater percentage of latex in the hybrid mattresses means more weight and higher density, making it difficult to manage the mattress. Allergy: Those who are allergic to latex may have a hard time sleeping on it. Usually, the manufacturing companies have the option of placing the latex in two ways. The first is the support layer with latex over foam. Here, latex forms the top layer and foam is placed beneath it. Mainly designed for customers who are looking for solutions to their acute back pain and do not want something that sinks in. This type of layering results in more support and firmness. The second is the comfort layer with foam over latex. Here, the percentage of latex put into the mattress is quite low and the purpose is bringing more comfort and suppleness rather than firmness. Some of us like to sleep on the back, some on the stomach, and a few are side sleepers. The choice of mattress should mostly be based on the favorite sleeping position of the user. Generally, the latex hybrid mattresses have a lifespan of ten to twelve years. Make sure that the warranty period of the chosen mattress is close to the same duration. The best way to select a mattress is by trying it out. A sleep-trial period is a must when it comes to the company policy. In case, the quality, bounce, or firmness doesn’t satisfy the customer, there should be an option of returning it back within a specified time period. The weight per square foot would be the density of the mattress. Higher density means more heaviness. Before finalizing your bedding, it is suggested to confirm whether the density and firmness are just like how you want! Certifications are a legitimate way to assure the quality and durability of the product. Good brands would offer the product with genuine certifications as a proof to their high-grade mattresses. Made with 100% natural latex, Eco Terra latex king mattress is a USA-made product. Known for its premium quality, the mattress lets the sleeper experience buoyancy and contouring of latex. Sleeping on it is very similar to floating in the air and losing yourself in the dreams. The Eco Terra king mattress has been crafted keeping in mind, the most comforting nights. Natural latex has been used in the form of a layer so that the user finds perfect ease while resting. Latex has the property of reducing the discomfort of resistance at various pressure points of the body. A network of multiple isolated coils inside gives great support and also accounts for the necessary lift to keep the sleeper’s spine in perfect alignment without creating any heavy feeling. 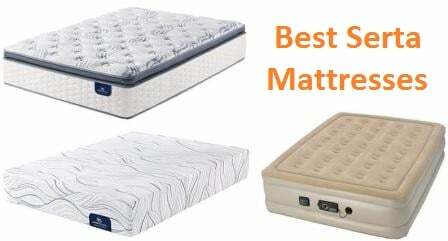 The mattress also benefits in the REM rest and deep sleep each night. The Eco Terra Mattress is of 11″ size and there is a rich 3″ layer of 100% natural Talalay latex. Inside the mattress, there is a premium individually wrapped, coil core which has been encased in fabric, and finally a 100% organic cotton cover. Side sleepers would find this 11-inch King mattress suitable to their needs as the bedding has a medium firmness to it. To add to the elegance and attractive looks, classy pinstripe organic cotton fabric has been added to it and quilted with soft foam at the back for that extra luxury and just the right amount of buoyancy you need. And by organic, you can be sure of the superior quality. The reason is purely plant-derived and 100% hypoallergenic latex has been used to manufacture the comfort layer. Unlike the memory foam mattresses, the latex hybrid mattress won’t sink in. Hence, it can easily replace the memory foam, without giving you any quicksand feel. For the same reason, one would also benefit from its motion isolation qualities. The fabric-encased coils further reduce any kind of disturbance caused by the partner’s movements. They are also responsible for long-lasting relaxation because each coil is specifically calibrated for producing increased support and at the same time getting rid of painful pressure points. It is not just about the side sleepers, but the Eco Terra mattress is extremely comfortable in any sleep position. No harsh dyes or irritation-causing chemicals have been used in the manufacturing process and the fabric is completely organic soft cotton. With a high breathability, the organic cotton makes for a perfect top layer for a restful night’s sleep. Ships rolled in a box. Proudly handmade here in the USA. 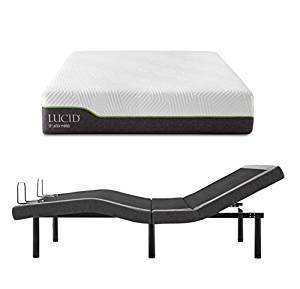 LUCID L300 Latex Hybrid Mattress is a 5.5-inch bedding with a twin XL size and an adjusting bed base. In order to produce motion isolation and reduce body contouring, there are high-quality steel coils wrapped individually inside. Real latex rests above the rich memory foam layer, creating a balance between the sink and spring. The base of the bed is independent, with its head incline ranging from 0 to 60 degrees, and the foot incline can be set anywhere between 0 to 45 degrees. On both sides of the bed base, the users can find dual USB charging stations. That means two USB ports at the head of the bed, one on the left and one on the right. These USB ports can be accessed with two of these bases side by side. The base of the bed possesses a folding hinge which is the first-ever feature of any bed and makes shipping even more affordable. Worry not! The product is quite easy to assemble and takes less than 5 minutes from getting out of the box and turning into the ready-to-use bed. As it seems, it requires no expert assembly. The mattress is designed with an attractive, two-tone cover which finishes the elegant look of this mattress. The product is backed by a 10-year warranty against manufacturer defects. A folding hinge at the base of the bed. Two-tone cover with an elegant design. If you are planning to go for something sophisticated and high-quality, Voila can be a great pick. Voila is America’s highest rated and top luxury hybrid mattress. The mattress is built to give an ultimate luxury sleep experience to the sleeper and it would also support the body at the right points. After a cool and comfortable sleep, the person wakes up rejuvenated. The balanced support is created with the help of 768-count five zone pocket coil technology used in the mattress. To enhance the pleasant experience, the bedding has a triple edge side-wall support. A combination of firmness and suppleness is achieved by combining the gel infused memory foam and latex layer. The porous nature of latex allows greater airflow throughout the mattress and keeps you cool while sleeping. The users can also benefit from the customized firmness comfort option. A luxury sleeping experience is what you get when sleeping on such an artistically crafted bedding. The product is above par with the high standards of CertiPUR-US® flexible polyurethane foam qualifications. If you feel like the firmness of the mattress is not up to your expectations and you want somewhat less or more firm surface to sleep on, the company offers a free comfort exchange too. Apart from that, there is a 100-night sleep trial so that you get enough time to realize what’s perfect for you. The best part is that in case the customers are not fully satisfied during the sleep trial, they would receive a full refund and free returns. There is a full 10-year warranty on all the types of mattresses. 768-count five zone pocket coil technology. A triple edge side-wall support. Out of the 12” of a thick layer, one is 2” gel infused memory foam which has a density of 3.3 pounds. The second layer is a 1” BiOH gel latex with an indentation load deflection ranging between 21-24, and the other two layers are made of 1.5” individually encased micro coils and a 7.5” support foam with a density of 1.8 pounds. To produce the best results, the manufacturers have combined a contouring gel memory foam, the temperature regulating latex, and pressure relieving micro coils. For added protection, the mattress is covered with a machine washable fabric and can be removed easily because it has a zipper for easy on and off. There is a polyester weave on the sides of the cover which enhances its aesthetic look. For ultimate durability and a great fit, 80% polyester and 20% spandex have been blended together. It is a USA-made product and the foam has been certified by the CertiPUR-US for safety, performance, and durability. There are a 2-inch and 3.3-pounds heavy gel layer to give more breathability to the bedding making sure that you stay cool and comfortable all night long. The design of the gel foam is that of open cell and is infused with millions of gel particles. Due to this technique, the bedding performs better at keeping the surface cooler and more comfortable than regular memory foam. An inch thick layer of latex keeps the movements isolated and offers immediate pressure relief to the body. It also relieves the sleeping pain in the most common areas of the body. The latex is layered over individually wrapped micro-coils for an additional support. Rest assured, the product would reach you in an efficiently packaged box and arrive directly at your door. The company offers a 120-night risk-free trial and 10-year full coverage warranty. No prohibited phthalates have been used in making the product and it doesn’t have any ozone depleting properties. Harmful chemicals like CFCs, mercury, lead, or any other heavy metals have also not been incorporated into the product. It is a no formaldehyde, no PBDEs, and low emission (VOCs) mattress. Covered with a machine washable fabric. No harmful materials used in the manufacturing process. LUCID has created a new 12-inch latex hybrid which would give your body, the support of coils, the softness of memory foam, and the bounce of latex for making your sleep like a never-before experience. The mattress has a medium level of firmness to it. It is supported by a 6.5-inch, individually-encased steel coil base sandwiched in foam for better edge support and motion isolation. That means both the partners can sleep without interruption all night long. The size of the queen mattress is 60*80 inches. 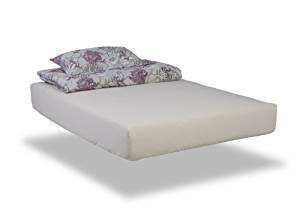 A layer of real latex is present on the plush memory foam layer giving the sleeper a perfect combination of sink and bounce. The mattress is designed with an attractive, two-tone cover which finishes the elegant look of this mattress. This superior grade hybrid provides not only results in so much more coziness of the memory foam but also provides an added springiness and temperature-neutral support of latex. 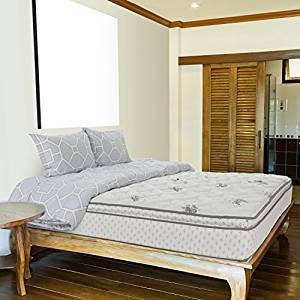 Sunrising Bedding 8-inch natural latex mattress contains independently encased spring support layer made of tempered steel coils with a diameter of 2.0 mm. They help provide the supreme performance to resist loosening of spring and sinking too. As high as, 825 coils have been encased in each pocket. Hence, each pocket works independently to produce a localized bounce in different zones. In short, you get the benefit of motion isolation and even if one partner moves during the sleep, the other won’t be disturbed. You feel a firmness of cushion-base while lying on the mattress. This happens mainly due to the pocketed innerspring. However, it doesn’t amount to any kind of discomfort. The latex layer is capable of greatly removing the pressure points and orthopedic for numb muscles on your back, shoulders, and waist, whether you are a side, back or stomach sleeper. One can call it a classic hybrid mattress filled with good elasticity, superb breathability, comfort, and high durability. The mattress can fit any type of bed frames including a box spring, platform, slats, bunk beds, trundle beds, or you can place it just on the floor. However, it is not suitable for the adjustable beds. The company offers a 120-night risk-free trial and 20-year full coverage warranty. No prohibited phthalates have been used in making the product and it doesn’t have any ozone depleting properties. Harmful chemicals like CFCs, mercury, lead, or any other heavy metals have also not been incorporated into the product. It is a no formaldehyde, no PBDEs, and low emission (VOCs) mattress. No harsh dyes or irritation-causing chemicals have been used in the manufacturing process and the fabric is completely natural. The product is above par with the high standards of CertiPUR-US®. The mattress is flawlessly compressed, rolled, and shipped in a box. It gains 98% of its volume after unpacking and then will be fully expanded in 48 hours. Independently pocketed coils to produce a localized bounce. Can fit any type of bed frames. Completely natural with no harmful chemicals. 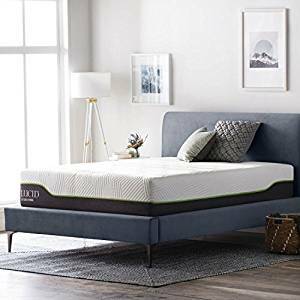 Wolf Corp Legacy Eurotop is a 12″ latex hybrid mattress. It contains an 8″ thick layer of 680 wrapped coils and has a fortified edge support. For those who are more into the Dunlop latex, the mattress is upholstered with layers of Dunlop latex. Another layer of convoluted foam is also inserted to create a superior luxurious plush comfort feel and the foam is certified by the CertiPUR. Wolf has made and infused it with a belly band for an extra support in the critical middle portion of the bedding. The mattress has an internally manufactured Wolf bonded posture pad to give you an extra firmness. 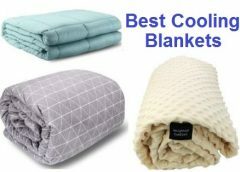 It is covered with a luxury stretch knit quilt for that silky touch. The product is made of natural latex foam, and due to this, it is highly resistant to bacteria, mold, mildew, and mites. Wolf Corporation is the oldest mattress manufacturer in the USA under continuous family ownership. In the mattress, there is a layer of convoluted foam, inserted to create a superior luxurious plush comfort feel and is covered with a luxury stretch knit quilt for that silky touch. The mattress is flawlessly compressed, rolled, and shipped in a box that can be easily taken up through the stairs. A belly band for an extra support. Resistant to bacteria, mold, mildew, etc. 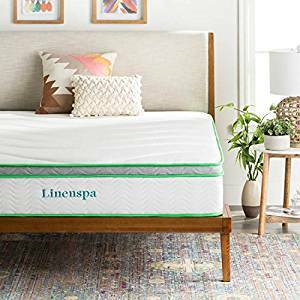 If you are a back or stomach sleeper, the new LINENSPA 10-inch latex hybrid mattress is perfect for you. It offers the just-right amount of medium-firm feel that you have been waiting for. The queen size mattress is of 60*80 inches. 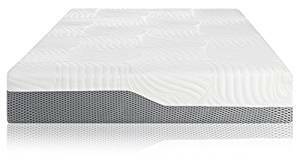 The base of the mattress consists of 7-inches of individually-wrapped steel coils which are responsible for motion isolation and at the same time also provide that familiar bounce that you’d fall in love with. As the mattress uses latex known for its temperature neutral properties, this hybrid will feel much cooler than other all foam mattresses. A generous four-layer structure has been given to this mattress. These layers are made of foam and latex, making it highly responsive and supportive. The bedding also conforms to the natural curves of the body without the letting you feel like mudding-in. In the end, there is a splendid two-tone cover over the mattress which can add style to your master bedroom or a cozy guest room. Highly durable in nature, the LinenSpa mattress is backed by the generous 10-year warranty protecting you against the manufacturer defects. Best for back or stomach sleepers. Motion isolation along with familiar bounce. Cooler than other all foam mattresses. 10-year warranty protecting you against the manufacturer defects. The R&D department at LCH believes in continuous innovation and thinks that new science and technology are the keys to it. When manufacturing its latex hybrid mattress, LCH involves a technology so that the mattress is able to disperse the heat and moisture of your body throughout. At the same time, the company has taken good care to make the bedding so much breathable for you. Due to proper aeration, there are no chances of developing mites and bugs in there. Made of new cotton fabrics, the mattresses feel fresh and have hygroscopic properties. With as little as 8%~10% moisture content, the mattress feels like a soft cushion with enough flexibility. The fabric used in the mattress is gorgeous comfort silk cotton. They are active and durable. Apart from that, they are able to instantaneously release the static electricity, while making the touch quite smooth and comfortable to your skin. Talking about its overall size, the mattress measures around 80″ * 60″ * 10″. 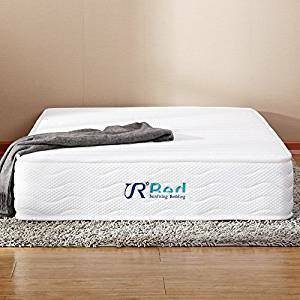 There are top layers of 2 inches cooling gel memory foam and 2 inches latex foam providing you the added pressure relief. Then, comes a 5-inches thick layer of individually wrapped tempered steel coils for more firmness followed by a 1-inch high elastic foam pad. The topmost layer of the mattress is made of 100% nature latex. This latex is a white liquid extracted from Thailand’s rubber tree. Famous Talalay Latex technologies have been used in the manufacturing processes. Due to its high quality, the latex gives the bedding an added bounce, elasticity, and responsiveness on top of the mattress. Latex is a natural material, hence, a latex foam is healthier to use in the material construction. Latex has the properties which can minimize the odors and off-gassing. 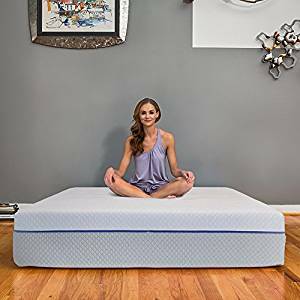 Simultaneously, these mattresses are firm enough and offer great pressure relief along with the localized bounce, avoiding any chances of you disturbing your sleeping partner. An extra deep support comes from the steel coils which prove to provide an excellent back support and conventional bounce. Both the memory and latex foams are of premium quality. Therefore, they minimize the odors and off-gassing. The company has used the best steel support to prevent any sort of sagging. The fabric knitted cover has fire retardant properties and is made of fireproof fiber. Its non-flip single side design leads to high-pressure dispersion. The mattress is soft and anti-collision, and strengthens the protection level to 360 degrees, ensuring greater stability and wear resistance of the edge angle. Designed with an exquisite border with solid edging technology, the mattress proves to be simple yet highly resistant to wear and tear. 100% natural mattress, with no odor. Anti-mites fabric for the surface. Anti-slip fabric for the bottom. Compressed, rolled, and shipped in a box. Wheels at the end of the boxes for easy moving. 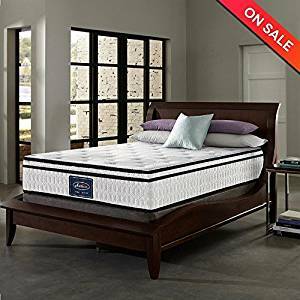 If you are a fan of Wolf products, enjoy this Corp Composure 11″ hybrid mattress, that Wolf has created as one of the most affordable and comfortable hybrid lines on the market. As far as a hybrid mattress is concerned, it is a combination of a superior quality innerspring unit and high-performance filling materials that are bound to provide you with the perfect blend of contouring comfort and support. The Composure Hybrid is a combination of an individually wrapped 8″ thick layer of 680 coil units with pronounced edge support. 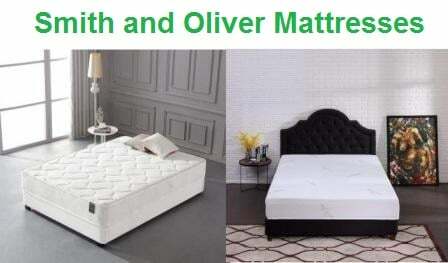 There are pure latex foam and pure wool, to give you a firm yet comfortable sleeping support system. Latex is natural and has an excellent cushioning property for pressure points. The product contains Wolfit, which is a wool product made to fit under the stretch knit cover. It also acts as a natural fire retardant and possesses insulator qualities. The mattress is covered with 100% cotton fabric for a soothing sleeping surface. The luxury stretch knit waterfall cover brings in some “cool air” fibers which enhance the overall comfort of this hybrid mattress. The composure is firm enough to provide added durability and support. There are 567 wrapped coil units in total to distributes the sleeper’s weight evenly all over the mattress and results in motion reducing pressure and motion transfer. The product has been manufacturing in the USA since 1873. The product is made of natural latex foam, and due to this, it is highly resistant to bacteria, mold, mildew, and mites. The “cool air” fibers enhance the overall comfort. Resistant to bacteria, mold, etc.